Are you looking for a girl to date who is creative, quirky and fun to be around? Well! Well! Well! 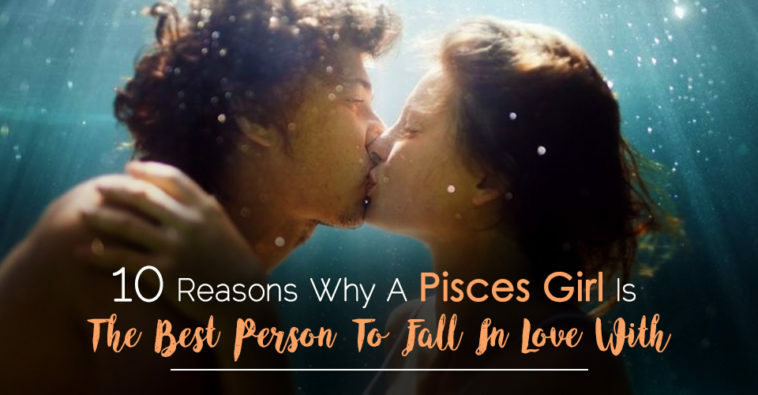 If you are into astrology and believe the stars know the answer to everything, up your dating grooves and find yourself a Pisces girl! Kurt Cobain certainly said it for some reasons ‘She eyes me like a Pisces’ (It matters may be not that he was a Pisces too ;- ) ) Pisces girls are not only beautiful and attractive, they have got beautiful eyes too. Their big, assessing eyes with the thickest of lashes hardly miss any detail. While you get drown in their eyes, their pretty eyes will observe what you did and what you did not. Pisces girls are the most attentive partners that one can ask for. And like it is apparent from my first point, they are very good observers. They like to observe things around them and the best part is they put their observations in use to care and give attention to their loved ones. If you had a bad day at work but do not want to worry your girl with your concerns, no matter how jolly you appear your Pisces girl will definitely know something is wrong from your mannerisms. Though this may sound generic that girls are full of intuition, it is all the more apt in case of Pisces ladies. If they have a feeling something is amiss or danger is on the way, know that their intuition is not wrong. A Pisces girl uses her intuitive powers to ward off the possible dangers from not only her loved ones but herself as well. Her intuitive powers most of the time guides her who to trust and who do not. The Pisces ladies have a bunch of creativity and artistic flair in them. Be it music, poetry, dance or drama, their creative talents wows everybody. You must have appreciated the talents of Rihanna, Keisha, Amanda Blake at some point for sure! Among all the zodiac signs, the Pisces ladies are the most empathetic in nature. They have empathy heir partners, parents, friends, strangers and all high and sundry! While women are notorious for their mood swings, Pisces women are endowed with some additional mood swings if I may say so. Not their every smile or tears have to have specific reason. They can scream, shout, and laugh because well… mood swings happen! Pisces is one of the intelligent signs. A Pisces woman will weigh all the pros and cons of an option, and then take a decision. But at times, they can be quite indecisive. This is mostly because their empathetic nature lets them pull energies from everyone around them. In the end, however, they will try and assert themselves and do things their way. A Pisces woman is sensitive and shy. When she is in love, she may pretend to be bold in front of her lover. However, she can be quite a kid from inside. If you have a Pisces girl take time to seduce her, indulge her fantasies, And voila you will have them..some fun times with her. Pisces women are really born smart. Smartness excites them and produces endorphins in them! And if you want to date her and impress her, you better be smart or she will not not even look at you. They take time to open up to people. They cannot mix in all kinds of crowds. They would rather keep quiet in a group, where they do not know someone for a long time. For this, they may sometime appear standoffish. In reality they are actually introverts. Believe it or not, being the 12th zodiac sign in the list of zodiacs they have little bit of qualities from every zodiac sign! So, gear up your belts and get ready to date a ‘fish girl’!